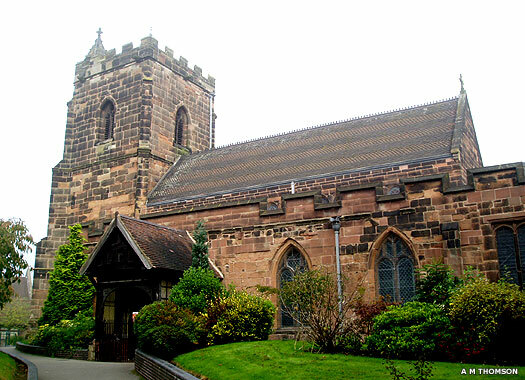 Holy Trinity, Sutton Coldfield, is on the north-west corner of Coleshill Street and Trinity Hill in the centre of Sutton Coldfield. Services for the town during the twelfth and early thirteenth centuries took place in the Chapel of St Blaize at the manor. Holy Trinity was built about 1300, and took over services at the end of the fifteenth century. The tower was built about 1500, and the nave was probably extended westwards to join into it. Bishop Vesey is entombed within. 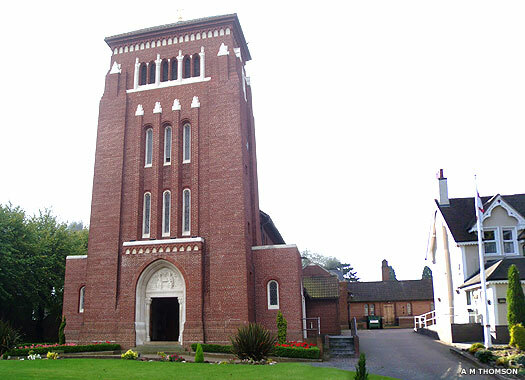 The Catholic Church of the Holy Trinity is on the western side of Lichfield Road, opposite Boswell Road in Sutton Coldfield. 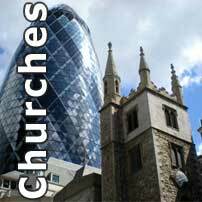 It can often be confused with the Anglican church nearby, and was probably dedicated as such to offer Catholics the comfort of an assumption of continuity between the two churches. The new church was constructed in 1920 in the neo-Gothic style. It is distinguished mainly by its oblong tower and the finely-carved stonework on the entrance portal.